Feral Cats – Trapping Day–One Day Early | Simply Art-Rageous! 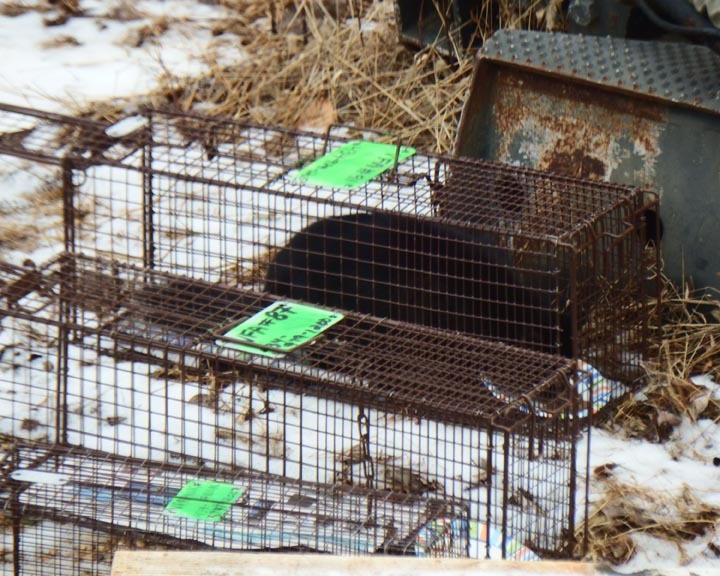 I’d originally planned to start trapping again on Thursday because the forecast was for rain on Wednesday (today). When skies were clear, however, I quickly decided to set out the traps a day early. As I was moving the traps out of Wayne’s car and into mine before heading to school, I saw a Catbird silhouetted in a nearby tree and heard it’s funny “meowing.” I told Wayne I hoped that was a good omen! I drove around to the back of the art building when I got to school. 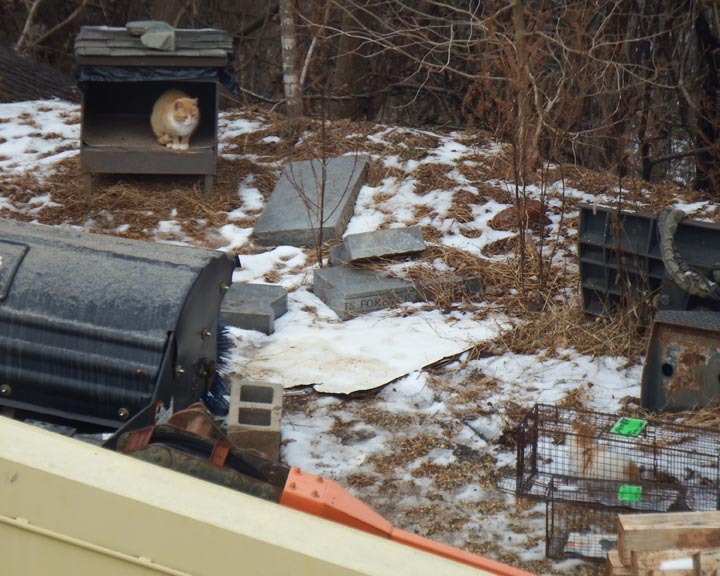 I didn’t see any cats, so I quickly set up and baited the four Voices for Animals traps. Within an hour, one of the white and calico kitties moved into the area. She checked the feeding station and was disappointed that there was no food waiting for her. So what’s a girl to do–other than sit in the sunshine and look pretty? 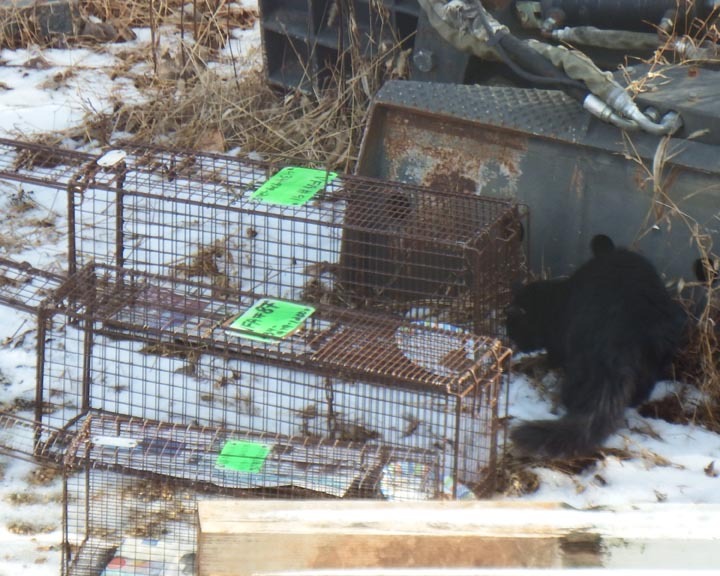 Her curiosity–and hunger–ultimately got the best of her, though, and she cautiously moved towards the traps. Unfortunately, she tripped one when she jumped on top of it! Of course that scared her (understatement), and she took off like a shot, and I thought that was probably it for her for the day. To my surprise, she came back a few minutes later and after cautiously moseying around, she went into a trap and was caught! YAY! First cat of the day, just a little more than an hour after I’d set out the traps! As fate would have it, she’d gone into one of the smaller kitten traps, and even in the tight quarters, she was absolutely frantic. 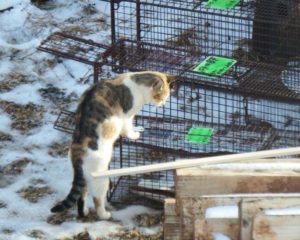 She was flinging herself against first one end of the trap and then the other, almost flipping the trap over in her panic. (I felt sorry for her, but I also couldn’t help but think of the Tasmania Devil cartoons!) 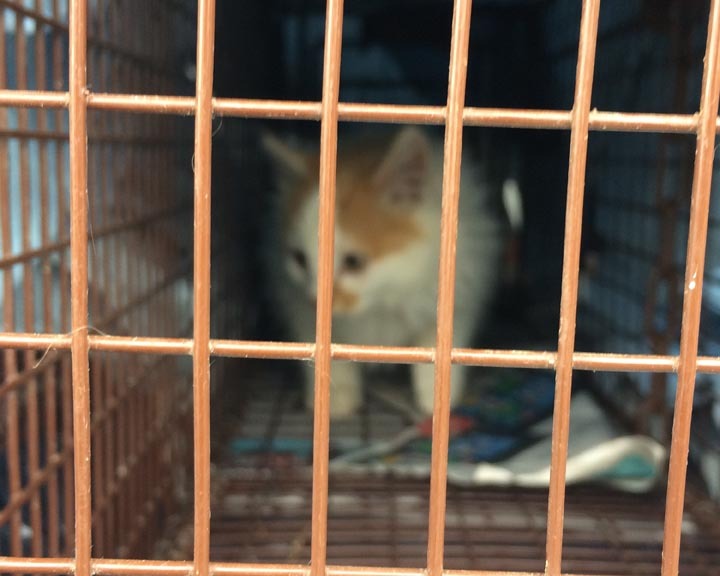 It was hard to carry the trap with her in it due to all of her flipping and flopping and flailing, but once I got her in the back of my car and covered the trap with a towel, she quickly settled down. She first checked out the empty feeding station, and plopped herself down, as if looking for someone to take her complaint about the horrible service at this previously nice restaurant. Finally, she started to investigate the traps. 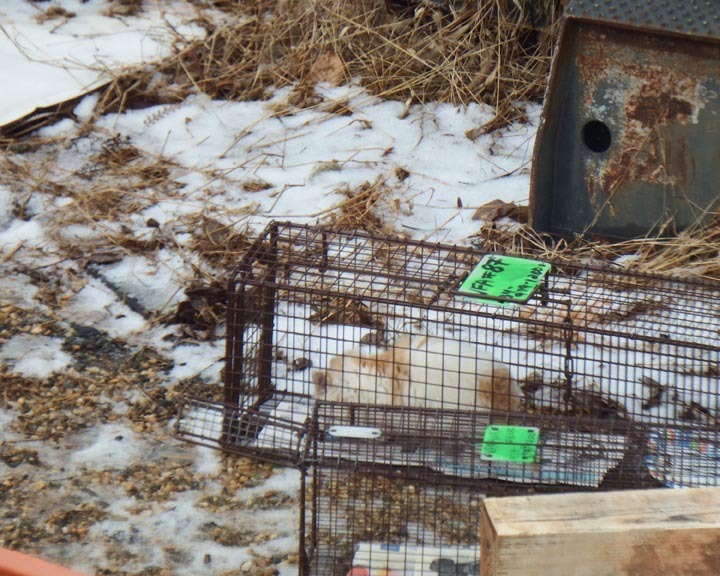 Immediately I got excited thinking she was IN a trap until I noticed she was BETWEEN two traps…. 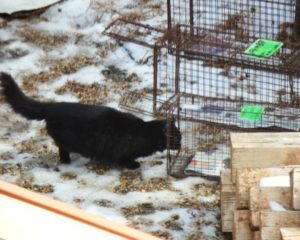 Then she tried to get to the food from the outside of each trap. 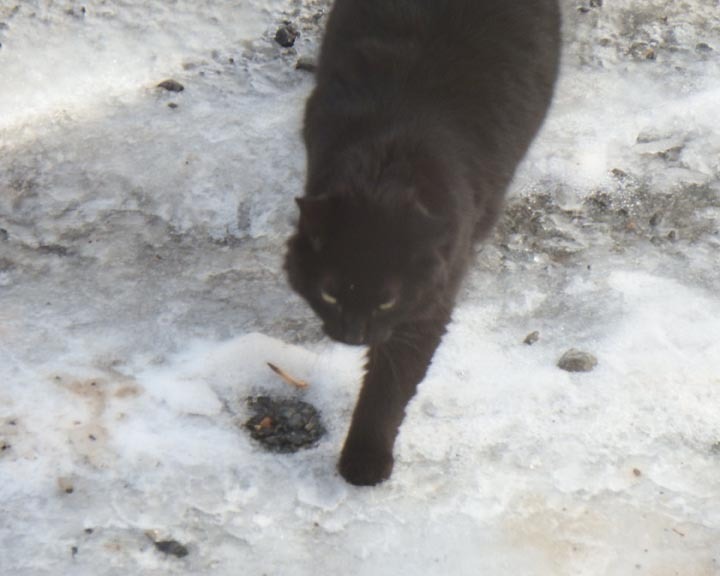 When that didn’t work, she got frustrated and walked over towards the dumpsters…. She meandered around, sniffing the air, stopping to bathe in the sunshine, and then she went back over to the traps. She put her head and shoulders in one, and backed out of it. She put her head and shoulders in the next trap, and backed out of it, too. Ultimately she walked all the way IN the next one, so YAY! Another cat trapped, even if she WAS a bit of “Goldilocks” at first! She was eating–just scarfing down the food–but she wasn’t stepping on the freakin’ trip plate!! The trap was still wide open! Finally, FINALLY, as she turned around to leave, she hit the magic lever and the door slammed shut. TRAPPED!! And so I put a second dreadfully unhappy and scared cat in my car! As with the first one, once her trap was covered up (this time with old shirts and smocks from my classroom), she settled down quickly. Sure enough, the gorgeous little white and orange kitten was in one of the larger traps. 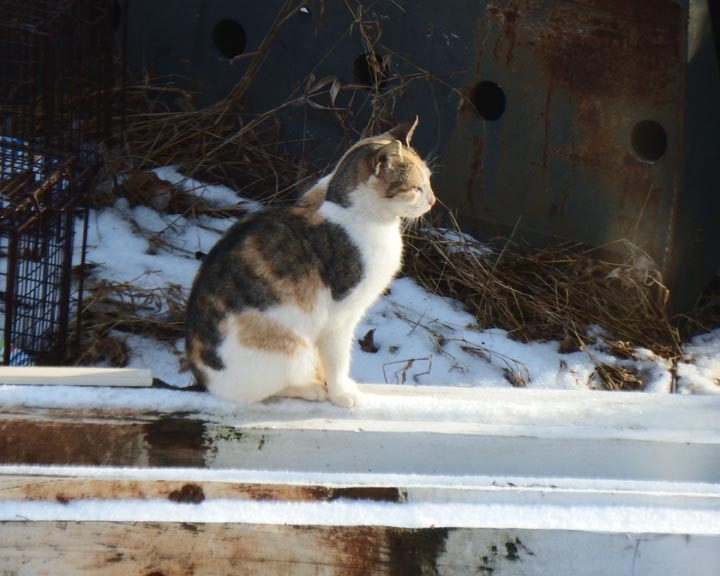 Her mother–the orange and white cat that we’d trapped and had spayed in December–was clearly distressed by her baby’s cries, but there wasn’t much that she could do other than sit and watch. 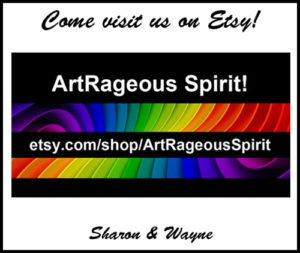 As soon as my students left, I was out the door, in my car, and driving around to the back of the art building. Again. 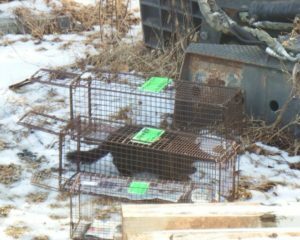 By being in a larger trap, the little kitten could build up some speed as she ran back and forth, slamming into the ends of the enclosure. Poor baby! It’s a wonder she didn’t knock herself out!! I didn’t see the orange and white mama kitty, but then I looked in one of the extra traps I’d set up to the left side of the feeding station. Yep, as I predicted, I caught her again! At least she’d gotten some food in her, and that apparently helped to fuel the 0 to 60 acceleration she achieved when I opened the trap door to release her! 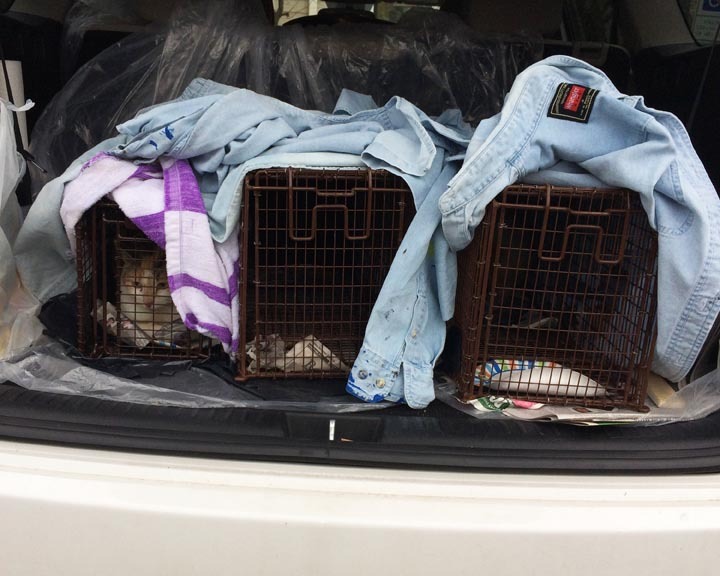 When the SPCA called late this afternoon (to let me know that all of the kitties were females–arghh…), they said that both adults had been spayed and were doing well, and that they were going to reach out to a foster for the kitten. They estimated this baby’s age at about 12 weeks. I’ll set out the traps again tomorrow morning. 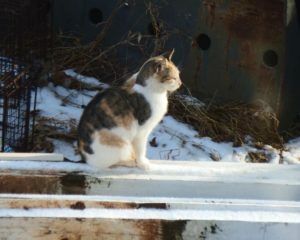 There’s still one white and calico adult I hope to trap, as well as another kitten belonging to the orange & white girl. Sadly, I haven’t seen the orange kitten (the floofster’s sibling) at all this week, but as I keep telling myself, you do the best you can…. I’ll pick up the two spayed adults after school, and while some people immediately release a feral female after surgery, I just can’t do it. I hope to get them situated in large dog crates in the back of my classroom, as I did with the first two TNR kitties. With freezing rain in the forecast for this weekend, however, caring for these bare-belly girls for a couple of days–and feeding the others on campus–could get complicated. Like everything else, I guess I’ll figure it out as I go…. 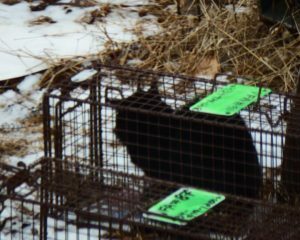 This entry was posted in Animals & Wildlife, Feral Cats and tagged cat, feral cats, humane trap, neuter, Spay, TNR, Trap Neuter Return. Bookmark the permalink.